The medieval concern with Arabic is well established. There was, however, a second wave of Arabic interest in seventeenth-century Europe, which is not widely known. The essays in this volume reveal that, contrary to all expectation, the study of Arabic was pursued by a circle of natural philosophers, philologists and theologians in England in close contact with those on the Continent. Arabic was defended as an aid to biblical exegesis and as the key to a treasure house of ancient knowledge. It led to the founding of Arabic chairs at Oxford and Cambridge Universities, endowed by archbishops and merchants. Arabic was taught, along with Hebrew, at Westminster school. Immense collections of Arabic manuscripts were acquired both privately and by libraries, such as the Bodleian at Oxford. They were sought after by natural philosophers in their research in observational astronomy or in the reconstruction of Greek mathematics. Arabic was also part of the Anglican interest in Eastern Churches. In addition to the earlier elegant editions of the Medici Press at Rome, bi-lingual texts, grammars, lexicons, and histories, were published by trained Arabists. Forgeries emerged based on Arabo-Latin alchemical texts. Arabic was included in the concern with a universal philosophical language. Arabic subjects featured extensively in the correspondence of the Royal Society. The impact of translated texts extended to the Quakers as well as to individual figures, such as Locke. 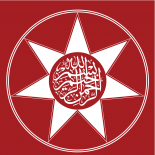 In short, at a time when least expected, Arabic interest permeated all levels of English society, encompassing subjects which ranged from science, religion, and medicine, to typography and importing garden plants.Fourteen historians from different disciplines examine the extent and sources of this phenomenon. Arabic interest is shown to have been a significant aspect of the rise of Protestant intellectual tradition. It was also a major component of University reforms and of secular academic scholarship at Oxford and Cambridge. 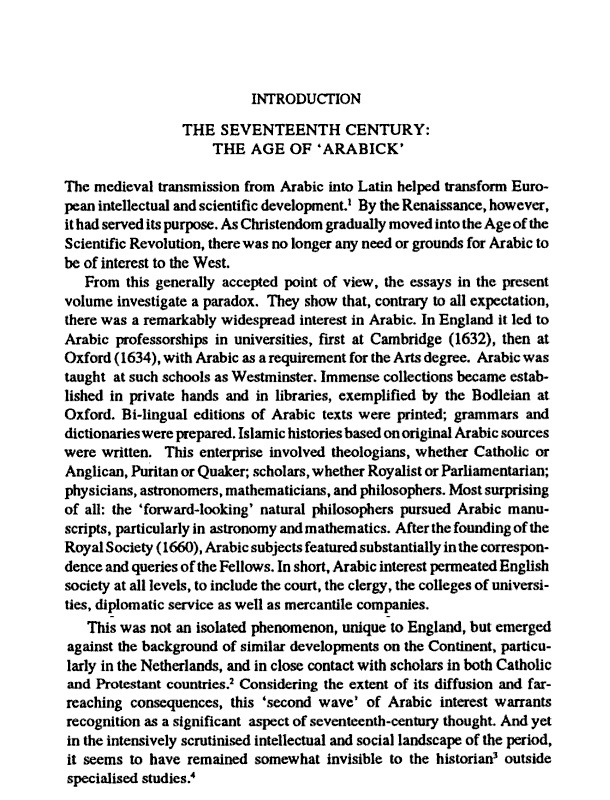 Thus the period also marks the institutionalisation of Arabic studies.By identifying many unexpected Arabick strands in the complex skein of seventeenth-century English concerns, this volume opens new lines of investigation and challenges some of the accepted historical interpretations of the period. This entry was posted on September 23, 2012 by ASFC in Ahmed Amiruddin and tagged America, Anti Arab policy, Arabs, Canada, England, English Monarchy, Freemasonry, Knights Templar, Liar, Mahdi, Napoleon Hill, Natural Science, PM, Power of the Mind, Racist, Stephen Harper, the Secret, Universal Laws.